I have a couple of new vices, I mean vises. I finally mounted the quick release metal monster that I got from the local Second Use store ages ago, and the twin screw “book press” to my Frankenbench. 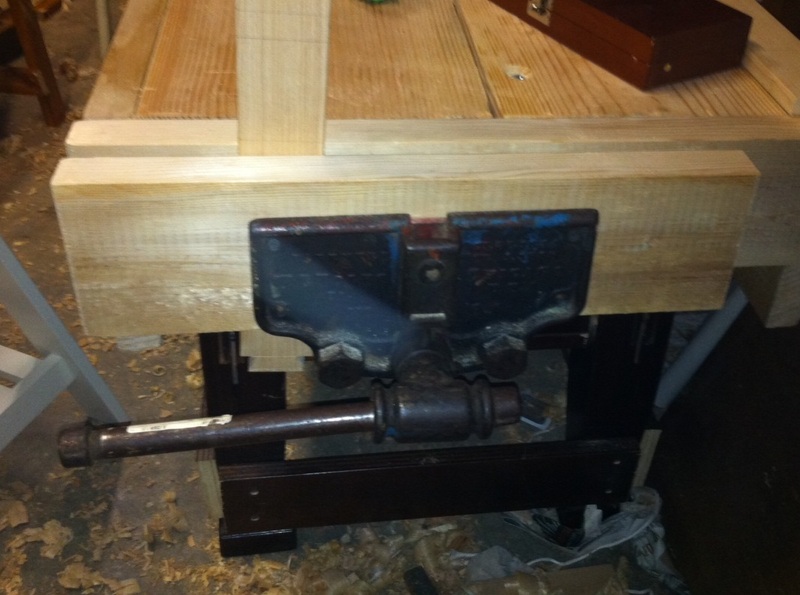 Due to the style of my bench, the so-called Nicholson style bench, I had to mount the quick release vise as an end vise. Then I had to buy a new 1 1/4″ fornster bit to make the holes for the screws on the front for the twin screws. 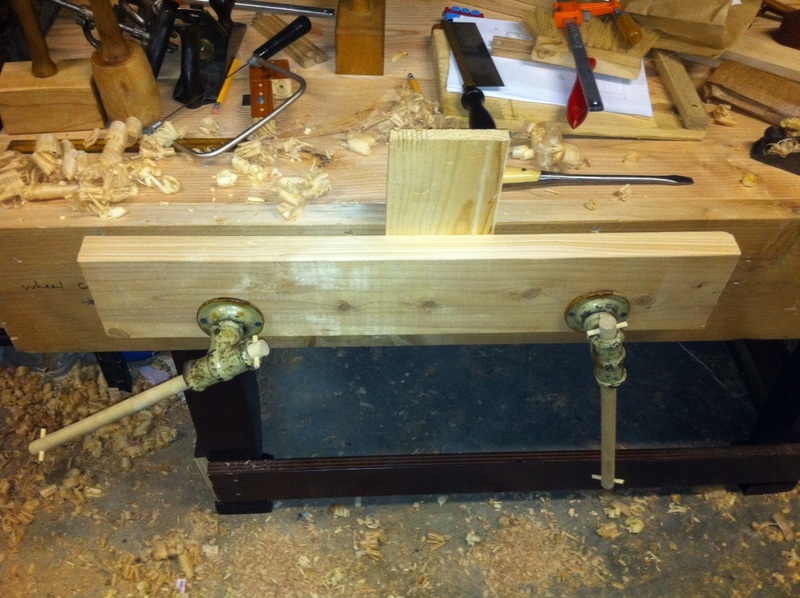 I think I drilled the holes too low in the wood for the vise, but we’ll see how it goes for now. I used them last night in the train rack project and I can honestly say they made an immediate difference in my ability to do work. 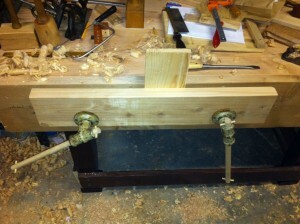 The end vise works great, and is a dream to use. I kind of wish it was on the front because of the ease of use on the quick release part. The twin screw part is a little clunky to use so far, but it works fine for now. That’s why you build a bench right, so you know what you want or how to build your NEXT bench. 🙂 But for now, I think this will suffice. At least for a while anyway. I’m going to make some mental notes, and either build or buy a new on eventually. The best thing though is that I can stop obsessing on this part of the work bench, and actually do some work with them. Work holding is so freaking awesome when you haven’t had anything, it changes the game completely.